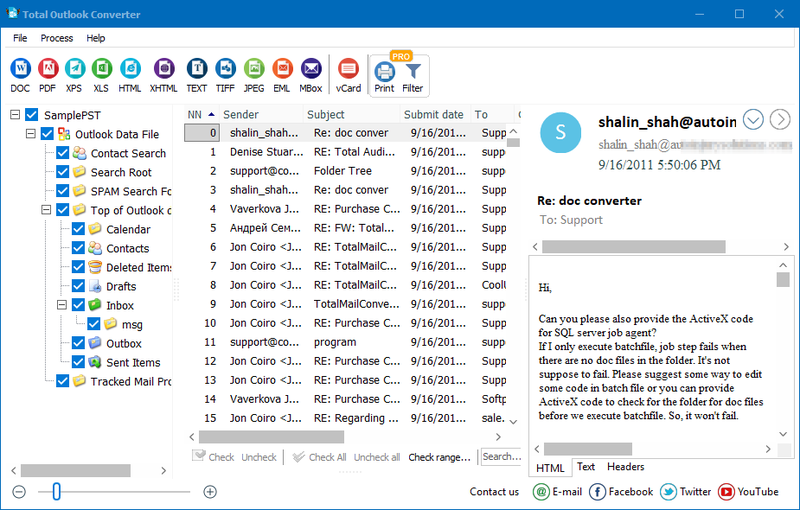 Convert PST Emails to Doc in few clicks! Total Outlook Converter is one of the most powerful file conversion utilities to convert PST to DOC available today. It incorporates several advanced functions, which makes processing large amounts of emails an easy task. 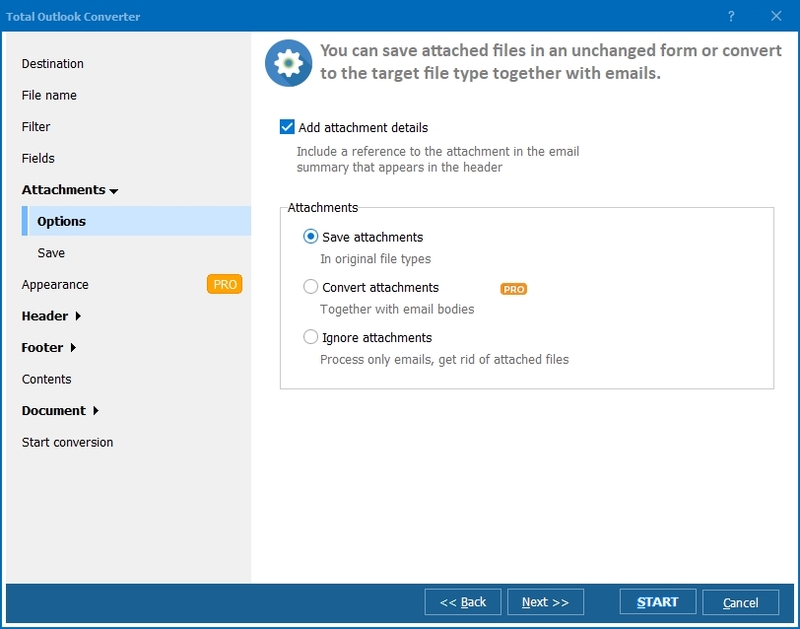 Total Outlook Converter permits you to save your emails in DOC instead of storing them in the bulky and insecure PST format. Now you can store your entire business correspondence conveniently in the format that can be opened by any text viewer. 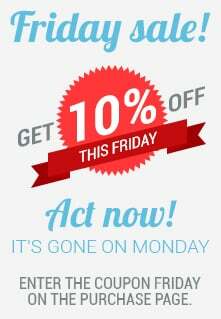 You can refer to it any time you want without any email client. Total Outlook Converter features a robust interface laid out in such a way that even a novice can figure out how to convert PST to Word within minutes. The program features a use-friendly automatic wizard. Converting outlook email to DOC is an easy game. All you need to do is select the folder from the folder tree: Inbox, Outbox, Sent Items, etc. Once you have selected the folder, a list of messages contained in it will appear on the screen. Now you should specify the messages you wish to convert. Please, check one or more messages. Then click Doc in the toolbar in the upper left-hand corner of the interface. The program wizard will help you adjust your settings and select your destination folder. You can save every message in Word format or combine several messages into one Doc file. 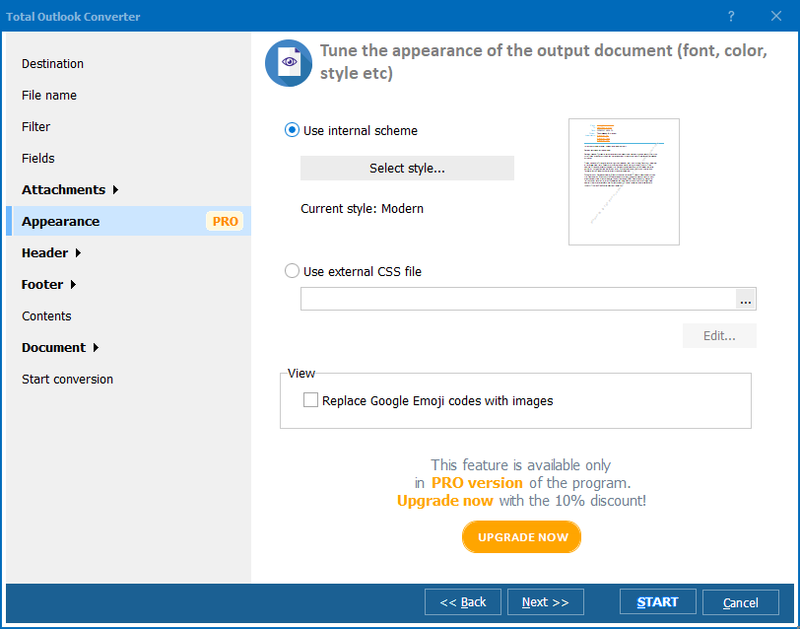 Total Outlook Converter also converts emails to PDF, TXT, HTML, and TIFF as well. This email converter features command line support, by aid of which you can launch the program from within any other utility. GUI version is also available. Total Outlook Converter is shareware. It is available for online purchase. You can either buy it right now or try the 30-day demo version. Valid for 30 days, the trial version will help you understand how to handle the program. Long enough to get the feel of the program's effectiveness! Once you have purchased the tool, you are entitled to free tech support and upgrades.